If you have ever heard someone say Jeep Cherokee’s are tough, they are. Talking to friends and family about their Jeep Cherokees and routine maintenance It was quite interesting to learn how tough they are. 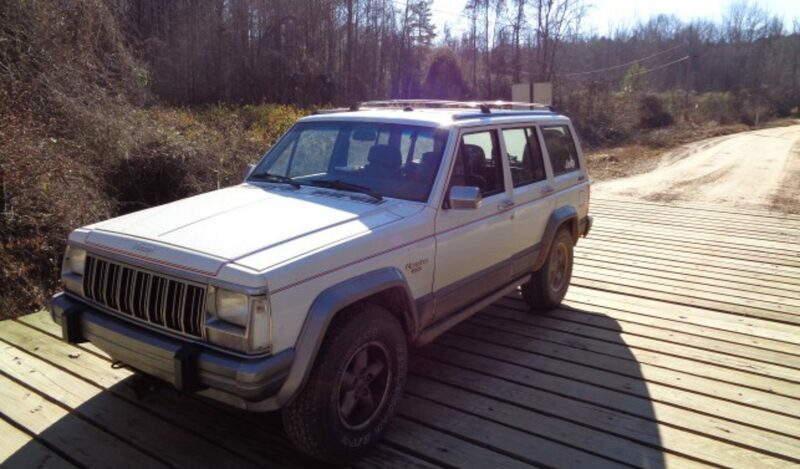 My best friend Mike owns a 1991 Jeep Cherokee Laredo that has over 350K miles on it. Engine and transmission are the originals. However, he informed me it has been close to a year since he changed the oil… He doesn’t even remember the last time he did a tune up either. So the other day he asked me to order a tune up kit from Crown Automotive. Early in the Spring I ordered a tune up kit from Crown for $45 w/shipping. It comes with six spark plugs, spark plug wires, distributor cap & button, fuel filter, air filter and an oil filter. Last week I had to order another tune up kit for a friend of mine who owns a 1999 Jeep Cherokee Classic with over 280K miles on it. She and I had spent most of the summer together traveling to Texas then to Michigan into Canada, New York and to Dearborn, Michigan. Between the two trips we put on close to 6K miles in 4 weeks time! She too couldn’t remember the last time her Cherokee had a tune up. As you can see from the photo below it obviously been awhile. What I usually do during routine maintenance is change the oil, air filter if it is needed. I then check the brake fluid, antifreeze, power steering, transmission fluid, battery and go over the belt and connections. Every other time I will clean the throttle body/idle air control valve. With the tune up kit from Crown Automotive you cannot go wrong. It’s a great way to remind you to get all of the typical maintenance out of the way at one time.